It’s a lot easier to obtain a visa for North Korea than to book a fully organised trip to the head office and production facilities of Rolex. Even more, you can’t actually organise this trip yourself; only when it pleases Rolex will the gates be opened and outsiders admitted. 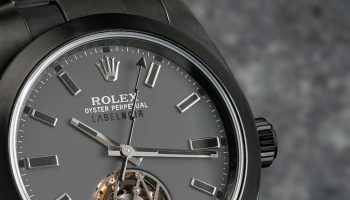 Rolex was favourably disposed to invite 0024 for a revealing look at the tightly closed world of the Oyster. Intimidating. 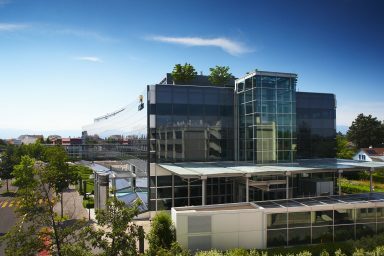 Only five seats in the André Heiniger auditorium (Heiniger was CEO from 1962 to 1992) in the Rolex head office in Geneva are occupied. A film explains what “the Rolex way” is. The Rolex way is the only way, that much is clear. What that means? Quality is the essence of Rolex and everything Rolex does is quality; the highest quality. That is also evident in the premises where the film is being shown, for example. In this building, which looks and feels like a government building, the Rolex laws, based on the isolationist philosophy that has elevated the brand with the crown above all other luxury watch brands, rule. 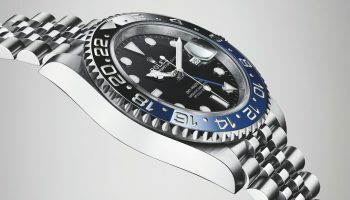 Rolex doesn’t care what other brands do; it looks only at itself. 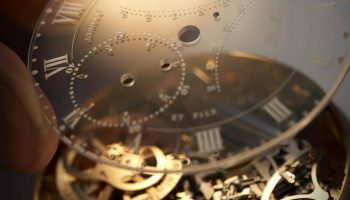 By focusing on internal standards, values and processes the company has created an integral and vertical structure – the ideal manufacture that is admired but never equalled by other watch houses – that is rock solid. The route to the future was laid out a long time ago and never deviated from. In the next few days we will be walking down the Rolex road. Ask any random passer-by to draw a picture of a luxury watch and nine out of ten times he will draw a round model with a small dome on the crystal. 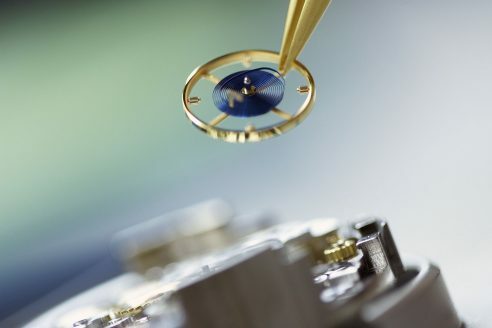 Indeed: a Rolex with its characteristic magnifying glass, called “cyclops”, on the sapphire crystal. Everyone knows the brand and everyone considers the brand a symbol of the ultimate in luxury. It is interesting that luxury is not only defined by the use of precious metals or high prices, but is mostly based on the scarcity factor. Never mass production and luxuryshall meet. 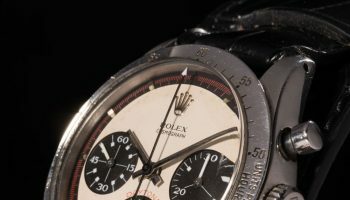 With an estimated annual production of around one million watches (this will always be an estimate because with Rolex being owned by a Foundation its exact production numbers never have to be disclosed) there is obviously no scarcity, and definitely mass production. And yet Rolex is the symbol of luxury and aspiration. 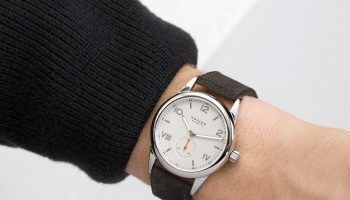 This is the result of the uniqueness and quality of the watches and the carefully built brand perception. How did I feel when I received the invitation to tour the factory for several days? At Rolex they are interested in my reaction. There are also aware of the fact that I accepted the invitation that very same day with a kind of gratitude. According to the missive from Rolex the invitation is a kind of thank-you for services rendered. That recognition feels good and, at the same time, my own response surprises me. I’ve been invited to visit a watch factory and by now I have seen quite a few of them; what’s the big deal? The big deal is that these are Rolex factories and that very few other colleagues have ever been admitted to the always tightly closed “Oyster”. In 2014 Rolex is starting to open up a little bit more and the Facebook page it recently started is proof of this, but physical visits remain an extremely rare and exclusive affair. 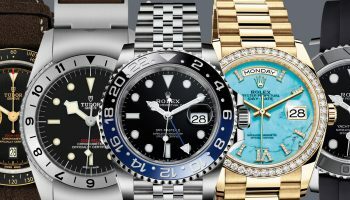 Rolex makes nearly everything in-house. Nearly everything but not absolutely everything, because the crystal, the hands and some gaskets are sourced elsewhere. These are referred to as non-strategic components. 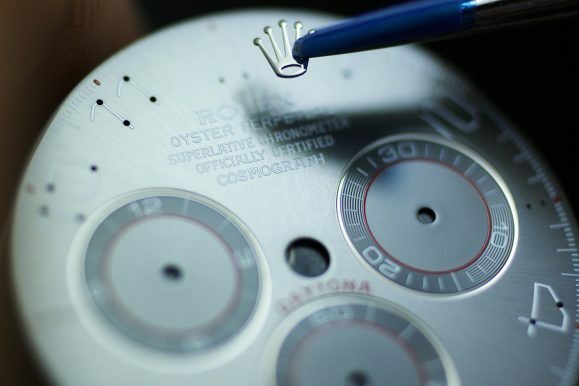 Whenever they do become strategic for whatever reason, chances are that Rolex will purchase the producer or start its own production of the component in question. The house with the crown is a carefully oiled machine that is kept operational as efficiently as possible by scientific methods. Everything is subservient to the process. 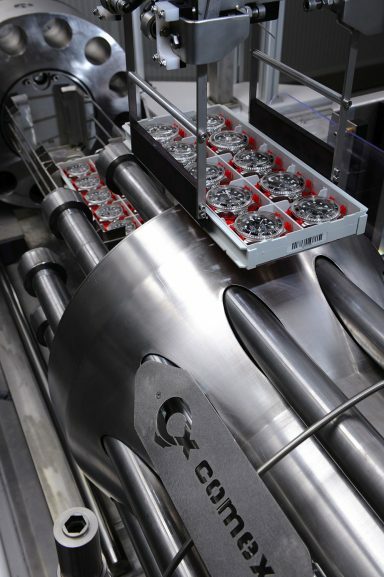 Special equipment and machinery is built to exact Rolex requirements and specifications. 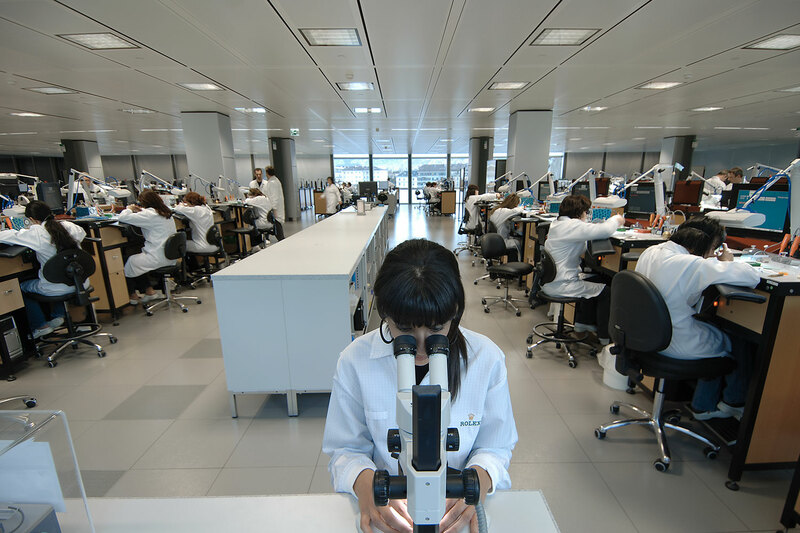 The 150 people in the assembly department – this is where the movements are mounted in the cases – are assisted by the very best control equipment, but the unique qualities of the human eye are not overlooked either. It is the combination of human skills and science that takes the production process, the tools and the machinery to the next level. COMEX. On the machine used to test water resistance I see the revered acronym “COMEX”, which stands for Compagnie Maritime d’Expertises. 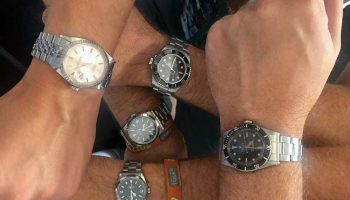 This French professional diving company has worked with Rolex for years and a number of different Sea Dwellers and Submariners with the COMEX logo were made especially for this company. The so-called Double Red COMEX models are the most sought-after and expensive variants that do extremely well in auctions. Just seeing the name on the pressure tank instantly reminds me of this. That is the kind of experience you’re not likely to have at any other watch house. Being told that only 100 Deepsea models at a time are tested in this tank – of which there is only one in the world – at a pressure of 459 bar and that the floor had to be reinforced to carry its weight contributes even more to the depth of the story. 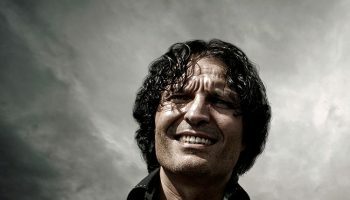 Rolex fabricates myths and the story follows. Two floors below ground level, in a safe that opens after a retinal scan, we find a high point of the Rolex production process. The company’s building in Plan-les-Ouates is home to the fully robotised warehouse behind securely locked safe doors. If a component is needed anywhere in the building it can be there within 6 to 10 minutes thanks to this system. A glass wall reveals the robots that scoot back and forth on rails and perform their – mostly invisible – labour. It is a fascinating and apparently random and erratic mechanical ballet that is directed by the many “choreographers” above ground. 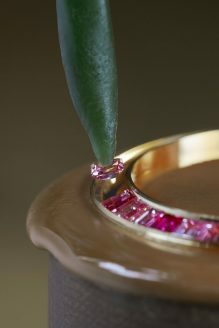 It puts the company’s own gold smelting operation, where heat, fire and liquid gold form the basis for the proprietary rose gold Everose alloy and even the highly delicate and unique injection process that results in the ceramic Cerachrom bezels with platinum markings in the shade. However, what all these three facets of Rolex production have in common is the fact that they are high-tech industrial processes that result in the most consistent and perfect end product possible. Uniform quantity guarantees quality. Order. There is order and quiet everywhere; even in a building where gold is being melted down and robots race back and forth. The spacious layout, the clear uniformity and the kind of sterile environment you would expect in a laboratory all bring quiet. It evokes a sense of withdrawal from the rush and pressure of everyday life. 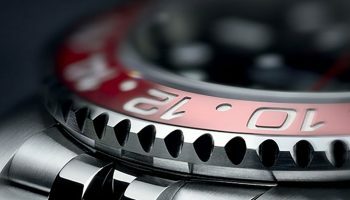 Here, too, the introverted attitude of Rolex has created an individual world. Incidentally, in this “private universe” in Plan-les-Ouates there is room for a laboratory as well. 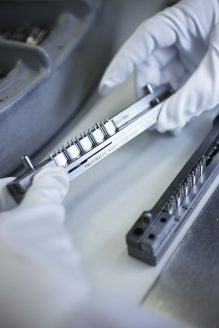 It is used, for example, to test the 904L steel used by Rolex, which contains more nickel. 904L steel is harder to work with but it has a nicer sheen than other steel alloys and on top of that it is highly corrosion-resistant. Here you will find ultra-powerful electron microscopes and a range of other analytical equipment. The room also contains a kind of robot bird without wings, wearing a watch and kept in a transparent cage. With the precise movements of a contemporary dancer it simulates an entire life-cycle of a watch by putting it in every conceivable position, over and over again. Elsewhere another machine pulls on a watch strap so hard and so fast that in no time at all the strap has gone through the equivalent of ten years of real, hard life. The strap is expected to bend before it breaks. For now all remains in one piece. Precision machining may be a high priority at Rolex, but the indicators and murals on the dials are still installed by hand. Rolex’ smallest production facility is in Chêne-Bourg, a municipality in the District of Geneva. 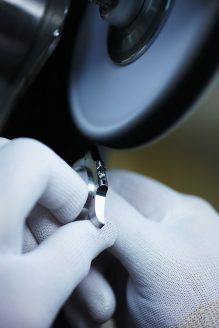 Dials are made here, and different types of precious stones are set in the watches. 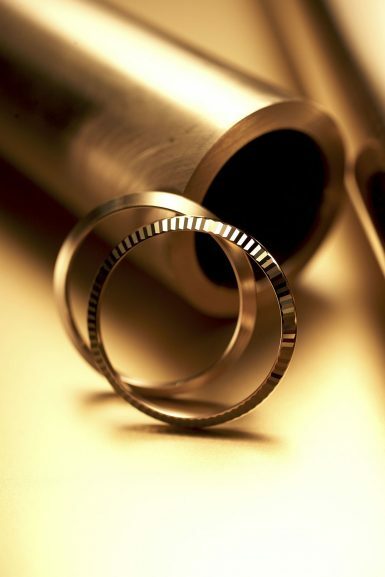 Nine different types of dials are produced here of brass, gold, platinum and meteorite. 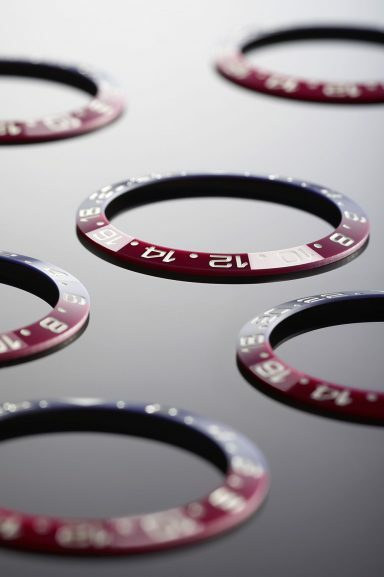 Some dials are lacquered, others are given a PVD coating and others again receive their colour through a process of electrolysis. A guilloché dial made of brass is engraved extremely precisely and evenly by a machine in 18 to 25 minutes. The manual placement of the indicators and/or numerals takes a few minutes. Setting 450 diamonds in a dial takes much longer. 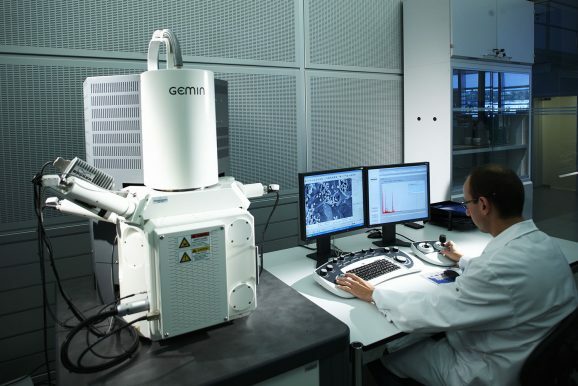 I look at 40,000 diamonds that are selected by size in a slowly revolving centrifuge. Two men oversee the operation. They also have another machine at their disposal. This piece of equipment uses ultraviolet light to check whether the purchased rubies are real and not synthetic, as real rubies do not let through shortwave ultraviolet light and glass “fakes” do. The last time a fake ruby was found here? Both men scratch their heads and come to the joint conclusion that it must have been about three months ago, but that was the only time they can remember. The undoubtedly expensive piece of equipment has a long way to go before it has earned back its price ticket. 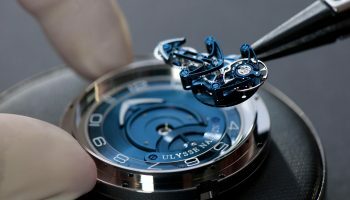 But not having this equipment and then finding that one synthetic ruby somewhere in a Rolex would be many times more expensive – and would be disastrous to the brand’s immaculate reputation. There is heavy machinery at the base of every Rolex. In a large, 92,000 m² facility in Bienne machines that can sometimes weigh 80 tonnes perform the fundamental work. Here it’s all about moulds, tools, tolerances. The sequence of machines that produce ébauches (the name for course, incomplete movements) is monitored constantly and adjustments are made when necessary. This is where platines and bridges see the light of day. 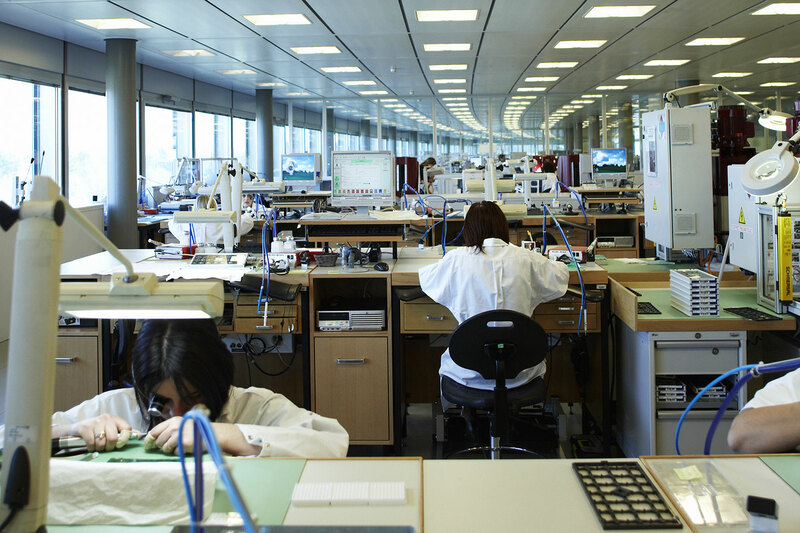 Cogs and spindles are produced here by tools and instruments Rolex makes itself. It is an undoubtedly industrial process where no-one gets dirty hands. It is a clinical industry that functions in quiet, cleanliness and regularity. And once again, the human factor exceeds automation. Because however faultlessly the machines appear to be working, the human eye can see impurities and deviations that are not acceptable under the Rolex quality standards. Our reception in Bienne feels like a State visit. Hostesses and managers, including the big boss of the huge site, accompany our small delegation of journalists from the minibus to a reception room where coffee and pastries are served. We exchange thoughts about the visit so far, and we are assured that we will be experiencing some high points here in Bienne. I have high expectations of the blue Parachrom balance spring. I can’t wait to see how this mysterious component that is produced but never really seen because it is out of sight in the enclosed Oyster case, is made. But first we are shown a film. The blue Parachrom balance spring is made of niobium and zirconium that are combined in a vacuum at a temperature of 2400° C. What follows next is a process of highly controlled stretching, pulling and rollering. All this manipulation literally stresses the material so the molecules in the alloy are allowed to rest before the material goes into the final phase. What started as a 30cm metal bar with a diameter of 10mm is now a flat, 3000m wire that is 150 microns wide and 45 microns high. For comparison: the average human hair has a diameter of approximately 100 microns and the Rolex Parachrom balance spring is manufactured with an accuracy up to 1/1000th of the diameter of human hair. The 3km long wire is now cut into pieces of 20cm each, thermally treated and force oxidised, which creates the blue colour. The springs are now shaped, cut to the exact length and given a curved and protruding Breguet overcoil. The balance springs are tested, measured and inspected individually, allocated to one of the sixty predefined classes and linked to the right balance wheel. There are five of us journalists and our entourage is twice as big. We are given a detailed tour of the building. In each department there are prepared displays with samples, there are TV screens that perfectly show the precision labour and all our questions are answered. All the Rolex employees radiate pride and dedication. What did I miss? 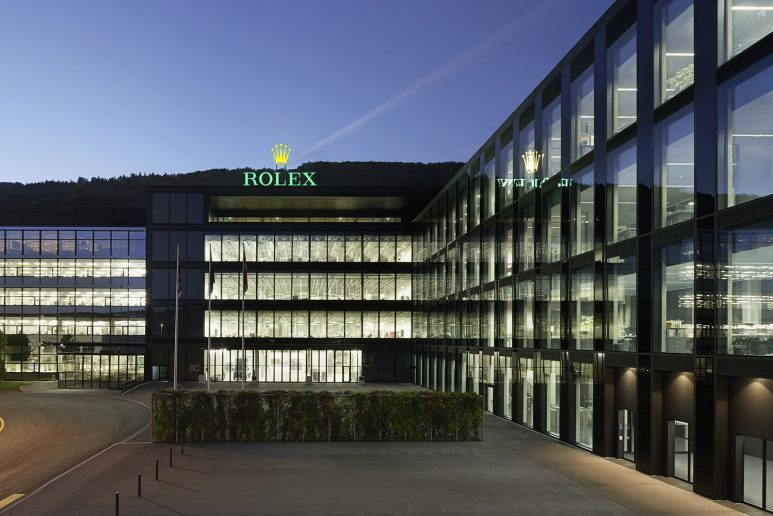 Former Zenith front man and new Rolex CEO Jean-Frédérique Dufour, who will succeed Gian-Riccardo Marini this year, has not yet made a public appearance. He is still being primed behind the scenes. What else? Watches. Although in the Geneva headquarters I held the Deepsea Challenge that travelled to the ocean floor with James Cameron in my hands and looked with amazement at the GMT worn by astronaut Jack Swigert during the precarious Apollo XIII mission, a comprehensive introduction to the current product range is still missing. 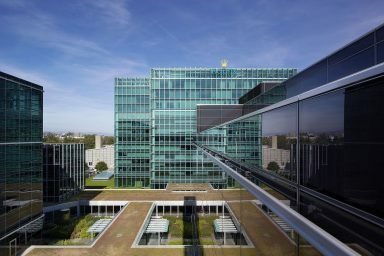 I have been deeply immersed in the world of Rolex and have seen where its strength lies: total devotion to quality that can only be achieved by having total control over each and every step in the production process. The watches are “merely” the result of a perfect production performance.